Antioxidants keep you youthful and so you need a plentiful supply of them to maintain not only a healthy body, but also a healthy mind. This list of plant based foods high in antioxidants are easy to incorporate into your diet, and best of all they are mostly inexpensive and easy to source. What could be better than that? In fact, some of these top 21 anti aging foods truly deserve superfood status due to their impressive array of phytochemicals and nutrients; all of which will keep your skin glowing, your body healthy, and you feeling great for life. Antioxidants are molecules found in certain foods that help to inhibit the oxidation of other molecules (ie the molecules inside every cell of your body). This is important because oxidative damage can be one of the root causes of disease, illnesses and AGING in general; so keeping oxidative stress to a minimum is extremely vital to anti aging. The antioxidant rich foods on this list, either on their own, or through the enhancement of other natural anti aging supplements will help keep you in a state of regeneration instead of degeneration, which of course, is a state we all want to be in. Oxidative damage to your cells is caused by seemingly benign every day activities and addictions (see list below) which cause cells to split, thus triggering free radicals in the body. These free radicals are otherwise known as unpaired electrons, and they scavenge your body looking to pair themselves up again by stealing electrons from healthy cells -yes, they are naughty – but this process causes untold damage to your DNA, cells and other proteins. This is why it is CRUCIAL to negate this free radical damage as much as you possibly can, as when it gets out of control it can have a domino effect and eventually trigger diseases such as cancer, Alzheimer’s, and many other age related diseases. Over exercising, OR not exercising enough:- Both of these can cause oxidative stress so stick to no more than an hour a day, but by the same token make sure your’e doing at least half an hour 5 times per week. Over eating – especially sugars and refined carbohydrates:- Over eating causes your mitochondria to release more ‘exhaust’ so to speak, and this creates higher free radical levels from the burning of fuel from food for energy. Excessive stress:- Something that we’re all guilty of in our busy lives – excessive stress literally is a killer! It causes the release of the stress hormone cortisol which in turn produces inflammation in the body, thus creating free radical damage. It’s also worth mentioning here that chronic inflammation underpins many modern day diseases and illnesses and is often due to bad diet’s, lack of exercise, and all manner of other environmental toxic damage. Too much alcohol:- Excessive drinking increases cytokine levels, which are molecules that cause oxidative stress through inflammation. Smoking – an obvious one! :- Cigarettes contain over 4,000 chemicals, which sounds absolutely horrendous right? And it’s these chemicals; the worst being formaldehyde, lead, arsenic and ammonia that cause the most destructive kind of oxidative stress, which will almost certainly lead to disease and ill health. So give up the evil ciggies for good if you want to stay healthy; there really is no other way. 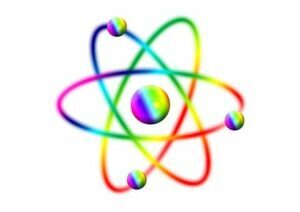 Ionizing radiation:- This can mean many things, but most commonly it’s exposure to the sun (as in sun damage); plus, mobile phones, WIFI, airplanes and X-rays can all cause oxidative stress in our bodies. Fungus:- Molds and fungus like those found in your bathroom, or in damp houses, can contribute to oxidatve stress in the body. As do candida and other fungal infections in and on the body itself. Burnt foods:- Especially burnt meat or cheese: The process of burning food oxidises it, so when consumed it causes oxidation and therefore free radical damage in the body. Poor sleep and chronic insomnia:- Both of these cause stress due to the fact that the body hasn’t been able to rejuvenate and repair itself properly. In the long term this will have a snow ball effect in terms of oxidative damage and its resulting problems. Pollution and chemicals:- Again, this can come in many forms, from household pollutants such as cleaning products, air fresheners, soaps, shampoos and make up etc; to the outdoor pollution of industrial toxins, airplane fuel and car exhaust fumes. Even our food is full of chemicals, preservatives and fertilisers, and the water we drink full of yet more chemicals. Infections:- Chronic long term infections such as chlamydia and gum disease, all contribute to oxidative stress and damage in the body. 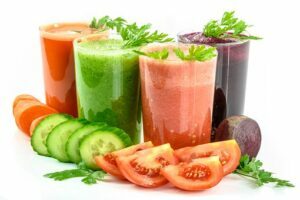 Bad liver and gut detoxification:- When the liver becomes overwhelmed in its pursuit of detoxifying it will produce yet even more free radicals, which then perpetuates the cycle even further. At this stage a proper detoxification may be necessary to bring the system back into a state of balance. Staying away from (as much as possible) heavily polluted areas. Having lots of houseplants to purify your air. Where possible, buying organic food, cosmetics and soaps. Staying away from, or cutting down drastically on junk foods, fried foods, burnt foods, sugar and refined carbohydrates. Remember, your body is designed to detoxify itself, and without this magnificent system beavering away inside of us 24/7 we would not survive even a day. But it is important to understand that we were simply not designed to detoxify from all the harsh pollutants we are exposed to in our modern world. Harsh pollutants that we have not yet had a chance to adapt to as they have happened so quickly – well, in the last century, which is no time at all in the grand scheme of things. These pollutants put a huge strain on a daily basis onto your liver and other detoxification organs, until eventually the battle is lost and you may succumb to disease and sickness. 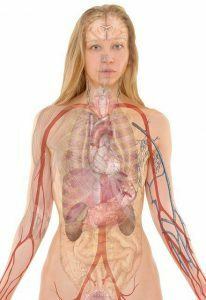 This CAN be avoided if you start giving your body the nourishing and detoxifying foods that it needs to stay thriving. This list is of the most commonly found foods that are the highest in antioxidants, and you should aim for at least 7+ portions of these per day to keep your body in good health and detoxifiying adequately. They are also highly anti aging, and should be eaten in their most rawest and natural as state possible (or very lightly steamed) for the best results. Light cooking, or raw eating, will help to keep all those healthful nutrients, phytochemicals, antioxidants and fibers intact. Green super food powders are a powerful detoxification tool and a great thing you can do for your body today. They can really help give you an edge alongside the other antioxidant rich foods, and help you to be sure you are covering all bases. There are so many available including spirulina, wheatgrass, barleygrass, moringa and blue/green algaes. They deliver a concentrated hit of nutrients and you can be sure with quality green superfood brands that they have been picked and freeze dried at their peak of nutrition, which is immediately after harvesting. WEIGHT LOSS – Green superfoods are also a great weight loss aid as they help to keep blood sugar stable, and therefore reduce food cravings. HIGH IN NUTRIENTS – They are also an intense hit of pure vitamins and minerals and will help you be sure your body is getting everything it needs. Sometimes your body can be ‘starving’ of nutrients even if you eat a lot of food, which can trigger food cravings and lead to weight gain. 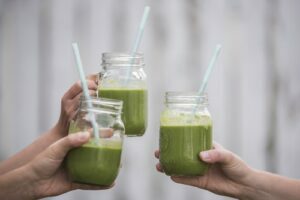 ANTI INFLAMMATORY – Green superfood powders are highly alkaine, meaning they can help lower any chronic inflammation in your body that could eventually lead to diseases. DETOXIFICATION – Keeping the body detoxifying well is at the heart of great health. 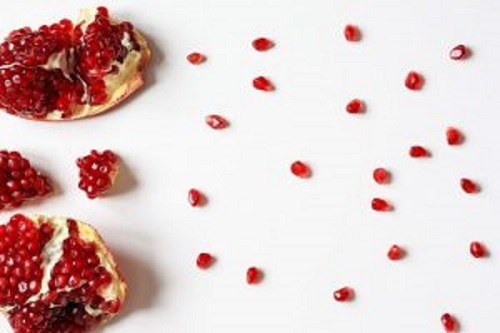 IMMUNE BOOSTER – A shot a day of superfood will REALLY boost your immune system. ENERGY – Need more energy? I think we all do, and these superfood powders will give you a zing and wake you up within 20 minutes. Great for when you’re sick, have a hangover, or are just about to hit the gym. GLOWING SKIN – The most natural make-over of all! You will see a noticeable boost to your complexion after you have taken a shot of superfood; not to mention a sparkle in your eyes too! Sometimes it’s hard to know where to begin when you decide you really want to turn your health around – I know, I’ve been there; and this feeling makes it all to easy to procrastinate on something that needs to be a priority in your life. It can all be so confusing, and the endless amounts of conflicting advice on the internet make it hard to know what to do for the best.This is why I only deal with science based evidence, and my own personal experiences on this website. Please check out these easy ways to begin a healthy lifestyle if you need a place to start. The the sooner you get into it, the sooner you will feel great and have the energy and confidence to live out your dreams. Thanks for reading this article today; as always I always welcome your thoughts and comments and will endeavour to reply within 24 hours. Wow I never knew burnt food could cause me oxidation. Thanks for the loads of remedies here. Now I know better how to improve my daily living. Hi Peter, so great that you found my post inspiring and that it has helped you to see ways you can improve on your own diet. This will surely stand you in good stead for the future. Hi Dave, yes that’s exactly what it is, the same as oxidation of metal or another example is when an apple turns brown when exposed to oxygen. It’s all oxidation, except when it happens in out body it is bad and accelerate the aging process on both the inside and out. That’s why we all need to eat as many antioxidants as we possibly can to help prevent not only aging but many of the diseases that come hand in hand with aging, such as Alzheimer’s, cancer and a host of other things. I will have to start nibbling on those 20 key foods. Ha ha you are very welcome Dave. Is oxidative damage something that can lead to cancer more specifically? You mentioned various diseases and I have heard about the benefits of antioxidants with respect to cancer. Also, what is a good serving for each amount of the superfoods that you listed? Should I take only one or have two servings of each? Hi Jessie, yes oxidative damage is very bad because it leads to chronic inflammation and that chronic inflammation is what scientists have now discovered can lead to cancers, diabetes, cardiovascular disease, and most other chronic conditions. So, it’s definitely worth getting as many of those antioxidants in as possible to protect yourself. A portion would be something like 1 piece of ordinary sized fruit (like an an apple or orange), a large handful of berries or grapes. Same goes for vegetables, go for large handful sizes. Nuts would be a small handful. And to be honest, don’t think you can get to much of this stuff, it’s just so good for you. I would try to get 10 portions a day if possible. Remember it is always wise to eat a rainbow of colours with these superfoods as it is the different colour pigments that give fruit and vegetables their antioxidant power. Hope this helps and please feelfree to contact me again if you have any more questions. Good luck on your healthy journey! This is very important information that everyone should read, and what is even more important, apply. The food high in antioxidants is varied and it is actually very tasty so it shouldn’t be complicated to include it in a daily diet. Great article, as always! Hi Blanka, I’m really glad you have found my post a good read. Yes, the importance of antioxidants in ones diet cannot be stated enough. Most people just don’t realise how much we need to eat these kind of foods to stay healthy. I hope I can change that in a small way and help others to see the significance of high antioxidant foods. Thank you for this post, I actually learned that burnt food is bad for you and harms the body. I always loved to eat the burnt part. Now I’m thinking about how wrong I am with that. Also exercising too much I didn’t know you could do that, but my problem is I don’t exercise enough. Good post. Hi Fred, I know exactly what you mean about eating the burnt part! That was always my favourite thing too, especially before I became vegan. I loved a really well done steak and cheese on toast, but luckily these things are a non issue for me now, though I do still indulge in a bit of well done toast every now and then. I think it’s like with everything n life, moderation is key. If you do have burnt foods every now and then, then make sure you take lots of antioxidants in as well. We all have to enjoy our lives and I believe worrying about it all too much is counter productive. Just know the basics of a healthy lifestyle and live around that. Yes, it sounds shocking but you can exercise too much. Remember that the body wasn’t actually designed for such repetitive exercise like the sort we do now. Long distance running for a start often causes lots of stress and wear and tear on the joints and also produces lots of free radicals in the body. That’s why they say natural exercises and movements like swimming and hiking, and also different terrains such as sand, grass and rock cause us to use differnt muscles and are more natural to our body. There’s just no need to offer do it with anything. I love your article! The more I read about antioxidants the more benefits I see from making them an integral part of my diet. I’m really interested In the ‘Green Super food Powder’, it looks great. I’m on a low carbohydrate diet and it only has 1 net carb! I’ll definitely come back and order some soon. Thanks for all the info. Keep up the good work. Hi Evan, yes these foods are great and have such powerful antioxidants that I thoroughly recommend you eat them every day, especially if you are doing a lot of training and exercise as you will be creating free radicals in your body. Wow, 1g of net carb! I think I would actually die if I tried to do that, I can only guess your’e doing it to get cut or lose weight? I hope it works out for you and thanks for commenting. Uh-oh. I’m guilty of not exercising enough, over eating (probably), excessive stress, poor sleep and pollution (we can’t escape from the world we are living in). That’s 5/12 of what you have listed. I guess I’m considered medium-to-high risk? Thanks for the list of foods, and I’m glad to see them because I’m a fan of vegetables and fruits! One question though: Why is Dark Chocolate good? Aren’t all chocolates bad? Hi Rachel, don’t feel too bad as I reckon you are pretty much the same as most of us. You’re right, we can’t escape from the world but we can negate the effects of these toxins by making sure we eat as many antioxidants as possible. As for dark chocolate, I just had to put this on the list as I love it, it is my favourite treat. 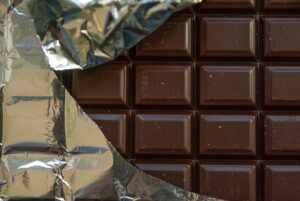 But it is crucial that you go as dark as possible to get the least amount of sugar, I’m not taking about the cheap, candy type chocolate that is mostly just sugar and about 3% cacao, but the proper chocolate that is at least 70% cacao. This is the stuff that is full of antioxidants. The cacao bean in itself contains no sugar and is a great source of antioxidants and many other nutrients (especially magnesium), so therefore is considered a healthy food. But like with everything good in life, moderation is key. Hope that helps. I really need to get on board the green food bandwagon. It’s so easy to eat poorly, at least in the US- any social experience involves food out, fried food, bread, pizza, and of course dessert….we reward ourselves with the things that harm us. Reprogramming to healthy, vibrant natural foods should be easier than it is! I know what you mean about social experiences being revolved around food as it’s the same here in the UK mostly (but not as bad as US).I do remember going to Florida as a kid and it was shocking the size of portions and the amount of food people put on their plate. And in the hotel we were staying in the only options for breakfast were sugary doughnuts and muffins washed down with gallons of coffee. Us kids loved it, but it was definitely different to what we were used to. I think it is all about reprogramming and starting off slowly because the taste buds do change much more quickly than you think and before you know it you are sick at the thought of junk foods and craving healthy foods…honestly! WOW, this list of food which are highly rich in antioxidants is really good and handy for all of us to understand. As you have mentioned antioxidants are really good for ageing skin but these are really good as a beauty booster at all age groups. A great article and superb information as always. Great job. Yes of course, these foods are a great beauty booster for everyone, and also great for disease prevention and so many other things. We all need to be getting as much of these high antioxidant foods down us as possible on a daily basis. Thanks Sarah.